Food Crime - How Reputable Are Your Suppliers? Food crime affects us all. It affects consumer confidence and behaviour and damages businesses that produce, serve and sell food. Experts suggest that Food fraud could be costing the UK food industry specifically a colossal £12 billion annually (source: Crowe Clarke Whitehill – Minimising Fraud and Maximising Value in the UK Food and Drink Sector–May2017). Food fraud is the deliberate and intentional substitution, addition, tampering with or misrepresentation of food, ingredients, or packaging at some stage of the product’s distribution cycle. Day-to-day examples of fraudulent food include falsified or inaccurate documentation, redirection of waste products and re-dating of stock, often through food brokers and internet sales. 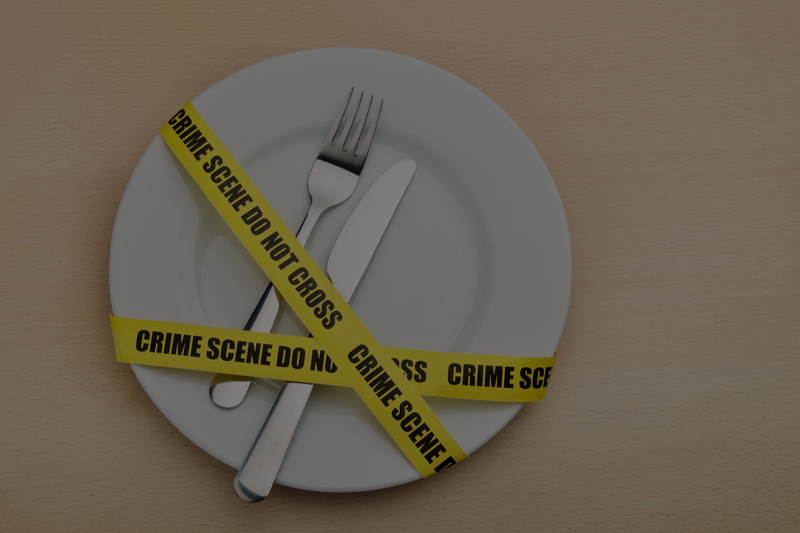 Food Crime is food or drink entering the UK food market that is likely to be detrimental to consumers, businesses or the overall public interest. For instance, counterfeit or fake branded products. The Food Standards Agency says that food fraud becomes food crime when the scale and potential impact of the activity is considered to be serious. This might mean that the criminal activity has cross-regional, national or international reach, that there is a significant risk to public safety, or that there is a substantial financial loss to consumers or businesses. The UK’s National Food Crime Unit (NFCU) works hard to stop fraud or crime happening and safeguard our reputation as selling some of the safest food in the world (source: Food Manufacture Magazine - an interview with Andy Morling, Head of the National Food Crime Unit). High profile cases of fraudulent food in the media, such as the horse meat scandal in 2013, that saw at least 30 tonnes of meat passed off as beef, are the most common cause of reduced confidence in nearly half of consumers (46%) (Source: NFY Mutual). HACCP, TACCP, VACCP – what’s it all about? You will be familiar with HACCP (Hazard Analysis Critical Control Point) - the process of evaluating the entire food production process step by step from the point of ingredient delivery intake to service or packaging and transport of the completed food product. But, to help combat food fraud and food crime, we now have TACCP and VACCP. TACCP stands for Threat Assessment Critical Control Point. A requirement under the latest British Retail Consortium version 7 Global Standard, developed in reaction to the increase in food fraud detected in recent years. The most widely documented was the horsemeat scandal but food fraud can manifest itself in many different ways including the substitution of ingredients, passing off of one foodstuff for another, false or misleading statements for economic gain that could impact public health, product tampering, fake or incorrect labelling etc. TACCP is, therefore, an essential part of food safety management, concerned with the prevention of deliberate and intentional food fraud. VACCP stands for Vulnerability Assessment and Critical Control Points. Working in unison with TACCP to demonstrate food product authenticity, VACCP focuses more on how vulnerable various points in the supply chain are to the threat of economically-motivated adulteration of food. The onus is placed on food businesses to determine possible threats of intentional food adulteration and identify mitigation ‘control’ actions. Choose suppliers very carefully. It is important to use reputable suppliers that you can trust to supply and handle food safely, at the correct temperature and quality as well as delivering on time. Ask other businesses for trusted recommendations! 1. Is the supplier registered with the local authority? 2. Does the supplier store, transport and pack their goods in a hygienic way? 3. Does the supplier provide allergen information? 4. Does the supplier supply fully reference invoices/receipts? 5. Do they have any certification or quality assurance or a food safety management system? 6. How quickly do they respond to your concerns?